America is home to many scenic wonders of nature, but visitors sometimes behave in ways that are harmful to the wilderness. 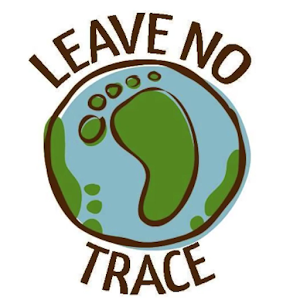 Many people are unaware of how their actions can affect the outdoor areas they enjoy, so the National Park Service has set forth a list of guidelines called the “Leave no Trace” principles to protect the parks. Most of these rules follow common sense, but people do sometimes need to be reminded of them. Plan and Prepare – Use a map and stay on the trail, keep the group small and repackage food items to prevent waste. Camp and travel on durable surfaces 200 feet or more from lakes and rivers to protect wildlife and plants. Practice proper waste disposal – carry out any trash left over from meals, any washing with detergents should be done 200 feet from water and dig a “cat hole” before eliminating so human waste is buried. Leave behind everything you find that could be considered a cool souvenir. There will soon be no pretty rocks or other forest items left if visitors are allowed to take whatever they like. Keep campfires small and controlled. Cooking food and roasting marshmallows over an open fire can be the best part of camping, but keep it small and make sure it is completely extinguished. Respect the forest creatures – don’t attempt to approach or feed the wildlife and prevent dogs from chasing wild animals. Respect other visitors by minimizing noise and allow them privacy while still offering a friendly approach. The National Park Service has found it necessary to enforce these guidelines in order to protect our greatest national treasure; our parks. It is hoped that everyone enjoying the beauty of nature will comply so America’s beautiful wilderness will be there for future generations. ← Why Is The Federal Land Policy And Management Act Of 1976 So Important?